Summer is just around the corner for us Quebec residents! After the long, harsh and brutally cold winter, we all eagerly await the raising temperatures and peaking sun. Personally I can’t wait for summer to arrive. Summer for me is sun and warmth, fruit juices and long hikes, but more importantly, it’s a whole lot of diving and hours with Total Diving! So here is a list of summer reminders to hype you up for this new season! At Total Diving, we go diving at the Kahnawake Quarry during the summer season. This local dive site is only a short drive away from Total Diving, and is open from May 4th to the end of October, weather permitting. Dive trips are arranged during the weekends, and on Tuesday nights, for night diving only. It is a perfect location to finish certifications or simply explore for the fun of it. The quarry has a maximum depth of 30 meters, which is perfect for deep dives. Although the water stays cold throughout the year, with proper equipment and the warmth of the summer sun, it is barely noticeable. The visibility is extremely good in addition to the high biodiversity of the shallow water, where pikes, bass, perch, crayfish, zebra mussels and even beavers can be found, which makes the diving even more enjoyable! So this summer, pack up your gear and head down to the quarry with us, for amazing and fun weekends full of dives!! The summer months are a perfect time to start or end certifications. As mentioned above, we have access to the quarry every weekend, and access to the Aquadome pool every two weeks. 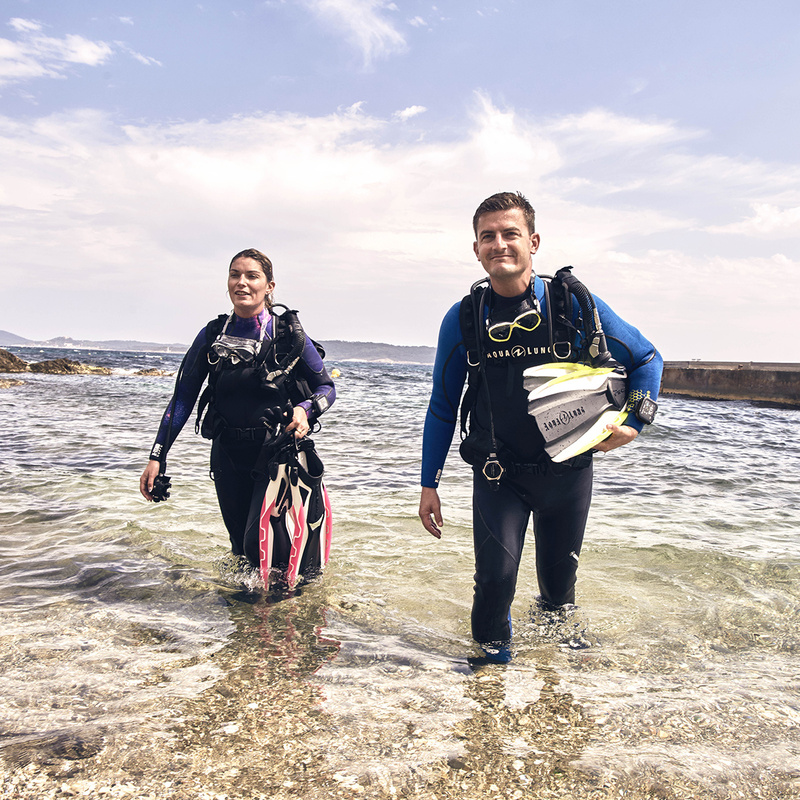 Whether you want to start your diving journey with an Open Water Certification, or continue your dive education with an Advanced Open Water or Rescue Diver certification, we are here to help you have the best experience! Speciality courses are also available for divers who want to expand their diving abilities in more complex areas, such as wrecks, deep waters, caves, and night dives. For those of you who want to get started on professional diving, divemaster and instructor courses begin very soon! Make sure to call us at 888-482-1890 and reserve your spot as early as possible! Christina has made a lengthy list of equipment care techniques and tips for the new season. Make sure to check out her blog! I’m actually here to mention a few summer essentials to add to your kits, or to start your kits with. If for this wonderful summer season, you are leaving Montreal to go dive under the exotic summer sun, here are a few pieces of equipment that might interest you! The travel BCD is the Rogue, and it is perfectly adapted for travel diving to warm waters. Some of its characteristics are a back inflate, and detachable parts, making it very easy to fold and pack in a carry-on bag. The shoulder straps and waist straps are all detachable with a simple (yet sturdy) lock mechanism. The Rogue is incredibly lightweight, and convenient. More pockets can be attached around the side straps, if you are a diver that likes to dive with extra items. The Rogue is the perfect travel BCD. Again keeping to the travel-adapted gear, the Apeks XL4 is light and compact, easy to carry and adapted to both cold and warm water. The XL4+ resembles it greatly, but has one extra high pressure slot, making it compatible with a transmitter. This regulator is perfect for travelling light, yet still having high quality gear. Fins are a bit tricky for travelling, given their size. However, if you have fins that you are not use to, there’s a high chance the rental fins will hurt and that you will be uncomfortable during your dives. The RK3 fins are a good solution for this problem. They are notably shorter than traditional fins, and although they are more compact and rigid, they still have a good propulsion. In addition, their format makes it easy to navigate small areas, and accentuate your control of direction. They are perfect fins for wreck or cave diving for this reason. So for all you travelling divers: RK3 are the answer to your fin problems! 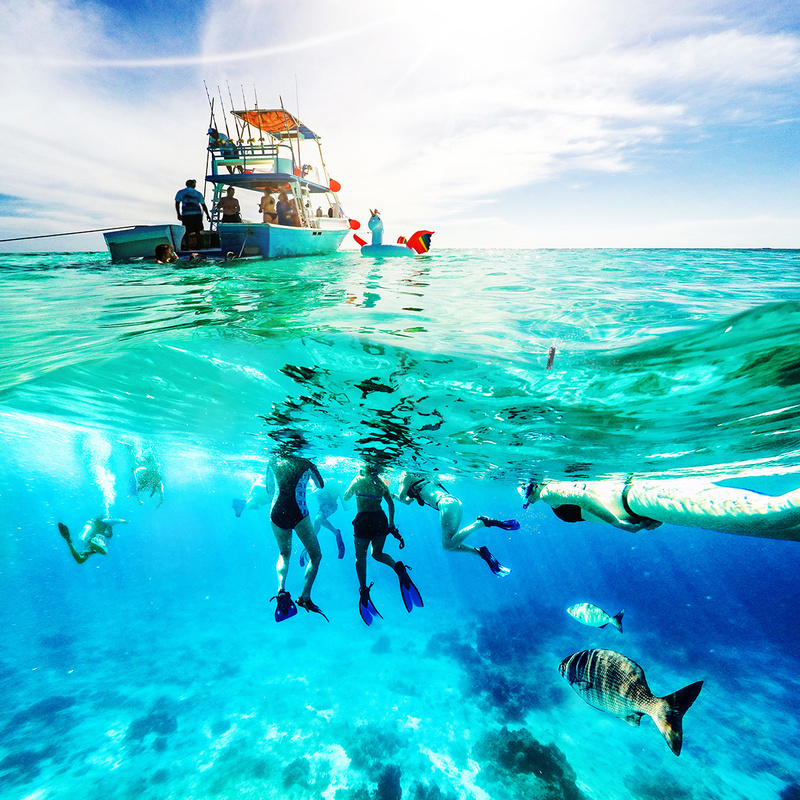 We’ve discussed this before: scuba diving is the greatest thing in the world. And I will impose my opinions and say that summer is the greatest time of the year. Hence it doesn’t get much better than scuba diving in summer. Imagine, you pack your new gear, you drive down to the quarry in the morning. You meet up with other bright-eyed and full on smiling divers. You dive once, you bask in the morning sun during intervals. You dive again. You have lunch, smoky burgers from that one diver that brought a BBQ grill. You dive. 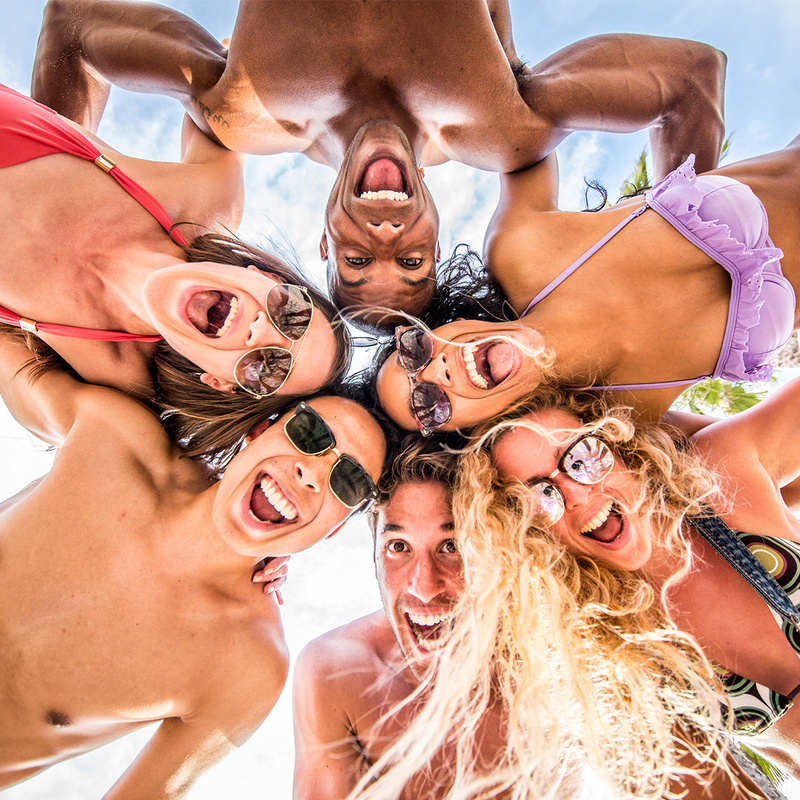 You tan in the sunlight, you laugh, you eat, you have the best weekend imaginable. And you get to do that every weekend, for over three months. Sign me up please, thank you. Needless to say, summer is coming fast, and we cannot wait for it to be here. Service your equipment, register for courses and certifications, call up your diver friends, and meet me at the quarry for the best time, for one of those summers you’ll keep thinking back on for the rest of your life with a wide smile on your face!